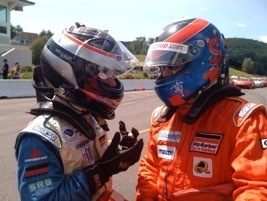 In my last personal update, I had announced my signing with Andersen Racing Team for the 2006 Star Mazda Championship. Since that time, life for the team has involved four test days and tons of work at the Fairfield, NJ based race shop. The cars have been fully rebuilt, processes have been developed for team personnel, and hours of planning and preparation for travel, logistics, parts inventory, promotion; you name it, we've looked at it. We've had some excitement. 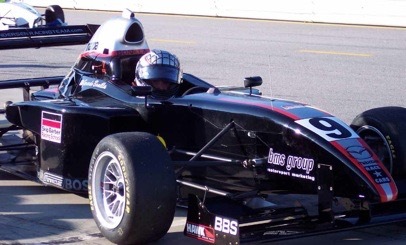 First, near the end of our January test at Sebring, we suffered a rare suspension failure at the left rear wheel. The collapse occurred at the end of the long back straight at Sebring just as I went to the brakes. Our top speed at that point is well over 140 mph. I went to the brakes, felt a snap, the rear collapsed bringing up the right front tire, essentially giving me two tires to slow the car with. Well, it didn't slow much. I tried so hard to slow the car down, but it still made the tire wall. I think I was down to 80 mph at the hit and had a chance to practice driving the car straight in, limiting the damage to the front wing and the now mangled left rear suspension. What a great HANS device! Nothing hurt. Kudos to Sebring International Raceway for constructing a great tire barrier at Turn 17. The second highlight of the Winter off-season is our recent test at Road Atlanta. We completed 230 miles of reliable driving on Monday, followed by a very effective Tuesday of focusing on our setup and my trust in the car. We were three tenths faster than the last race's Pole time, and we were thinking, gee, we're not fast enough. Our team is focused on winning. My engineer Remi Lanteigne is a genius. He has taught me more about race cars this winter than I have learned all years prior. I must say, I've been waiting a very long time for this opportunity. 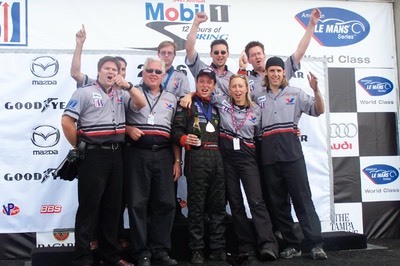 Driving for a team of Andersen Racing's caliber is a professional opportunity. It's a dream job. It's the job I've wanted all my life, and its just the beginning. I spent time at the shop and thought, "I'm driving for this team? Wow. This is real." Why did Dan Andersen pick me? I hope to understand that by the end of the season, but for now, I'll just do my best job every day. Race 1 at Sebring is next Friday, March 17th at 2:25pm. Our race supports the 12 Hours of Sebring, held on Saturday March 18th. Special thanks to my newest sponsorship group. 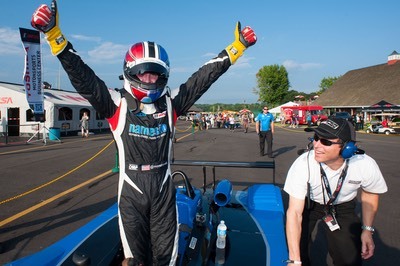 Skip Barber Racing School is providing $100,000 in scholarship for my 2005 National Championship win. 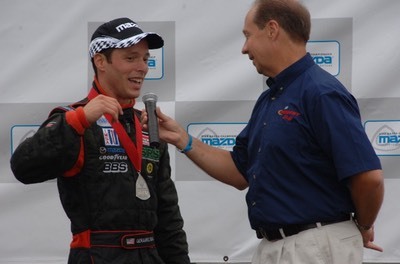 Skip Barber has done a lot more for me than just the career award. 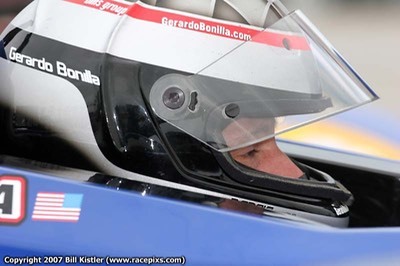 Most of what I learned about the racing industry and driving I learned at Skip Barber. There's just so much talent here, you can't be here and not learn. Also on board for 2006 is Surgical Reimbursement Specialists, HelixUS.com In Car Camera, Automatic LLC, BMS Group, and of course, the unseen Investors. We also have a Sebring race sponsor in Century Packing Corp of Puerto Rico, makers of Carmela Sausage. Everyone's participation, regardless of how, is sincerely appreciated. Without your help, I would be unable to fulfill my responsibilities. I will not quit.